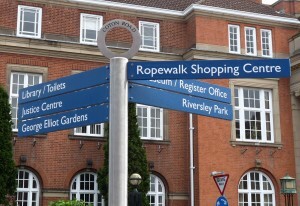 The Royal Label Factory was one of Britain’s largest suppliers of cast road signs and signposts to county councils for many decades. 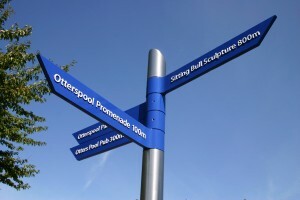 Many signposts and some signs still survive and we have the knowledge and casting patterns to restore or re-create them, something the Department of Transport now welcomes. 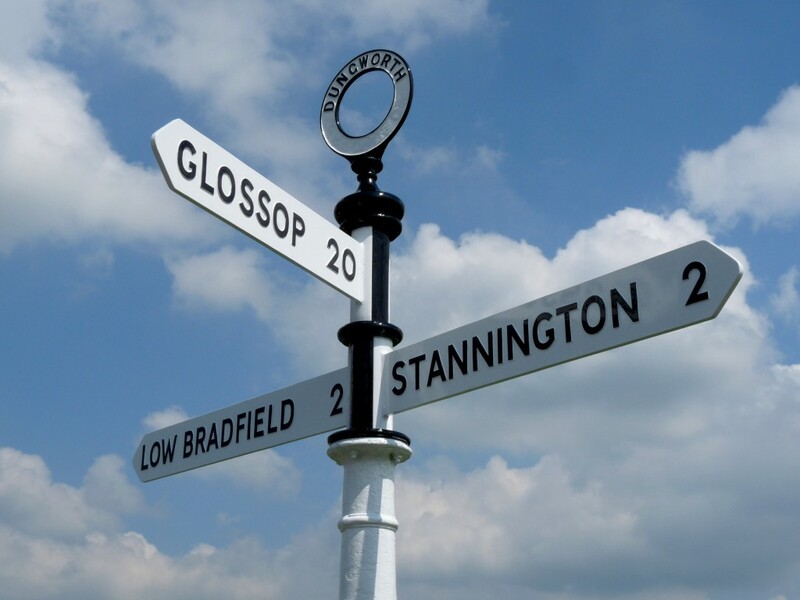 Our range includes columns, ball and ring finials and many kinds of pointer, including the now-rare wooden arms with cast collars and screwed-on cast letters. 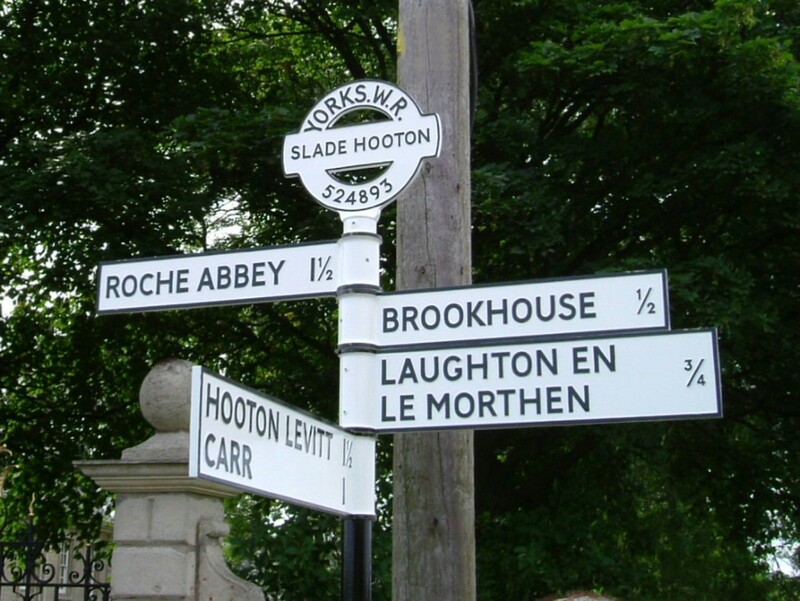 We undertake complete restoration packages for county and parish councils – removing old signposts from site, fully restoring and re-erecting them. 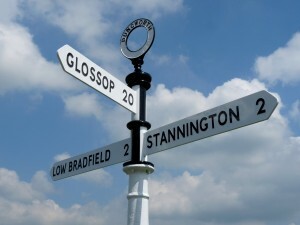 Where signposts guide motorists, fingerposts guide pedestrians. 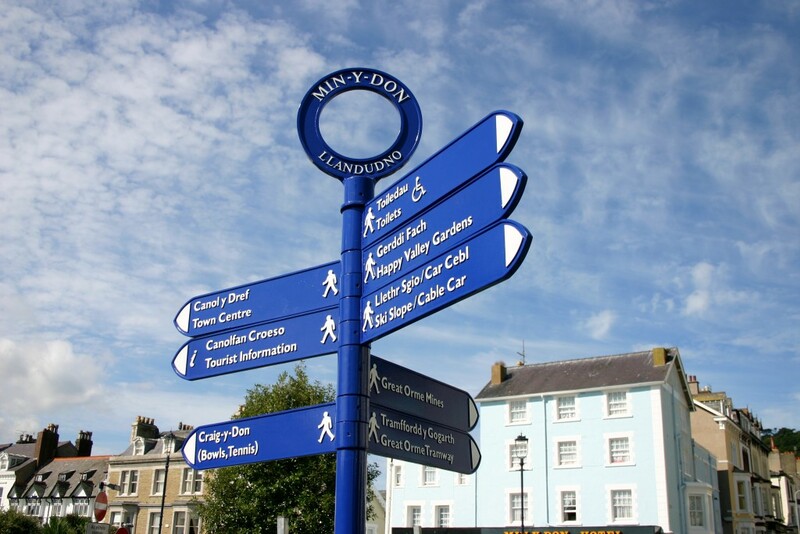 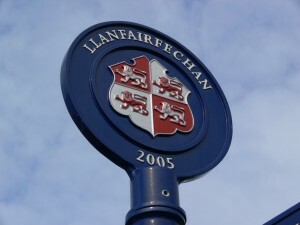 Usually found in town centres, a good fingerpost network will link car parks and stations with all the main amenities and attractions. We’re often involved in planning these networks (and eliminating some of the howlers foisted on councils in earlier years). 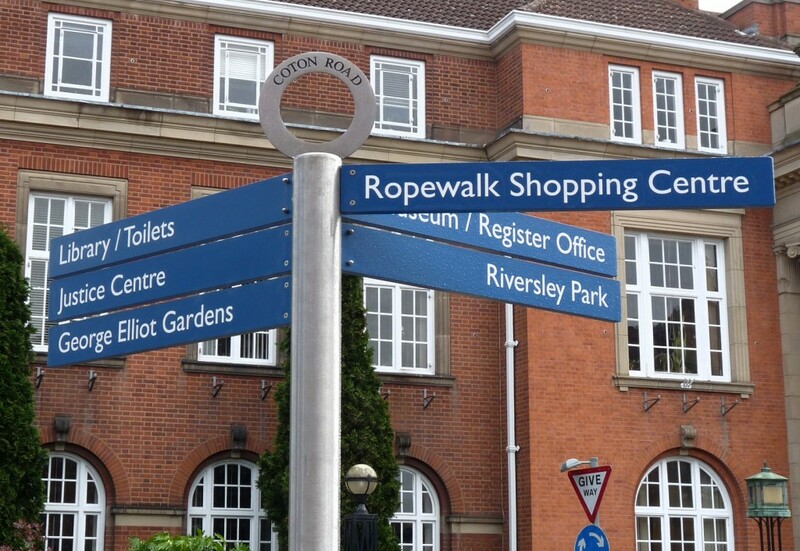 While many of our systems are broadly traditional, we also design and supply bespoke fingerposts to suit particular environments. We maintain long-term records of all the towns and cities we work for and can provide replacements or additional posts for any of them without difficulty. Again, installation and repairs on site are undertaken throughout the UK.